US Dressage Finals Declarations Now Being Accepted! The 2018 US Dressage Finals presented by Adequan® and USDF Dressage in the Bluegrass are to be held at the Kentucky Horse Park, November 8-11. Start making plans to attend and view the official 2018 prize list, along with other information, at www.usdressagefinals.com. Declarations are now being accepted! Declarations are now being accepted for the 2018 US Dressage Finals presented by Adequan®. There is no fee to declare, but horse and rider combinations must declare at the level(s) and eligible division(s) they intend to compete in at the US Dressage Finals. 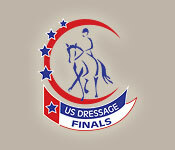 Declare now at www.usdressagefinals.com.